A Zbrush / modo / Lightwave Modeling & Facial Rgging project done for Joe Lawson at The Asylum in Burbank. 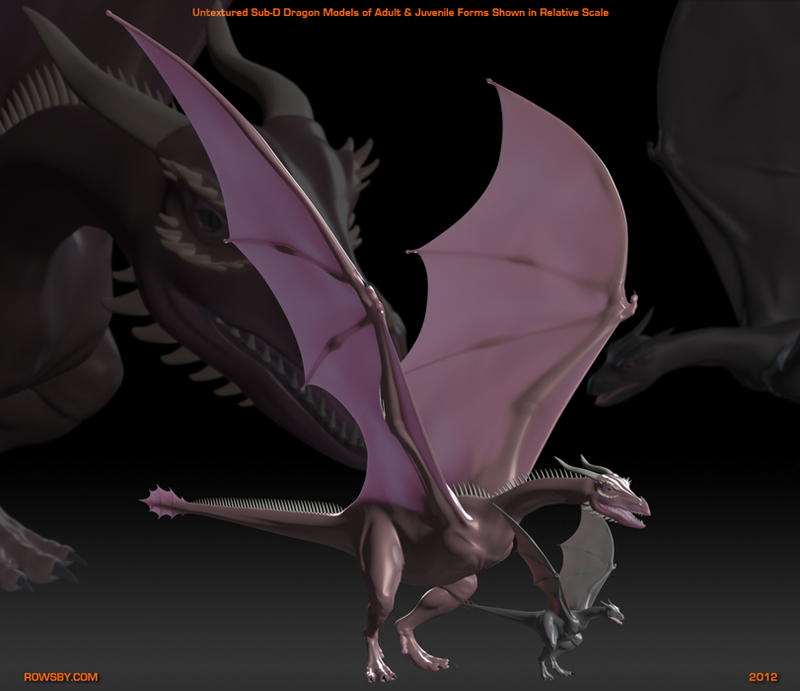 These two Dragons were created for a good friend's fantasy Pilot. Part of fine tuning the geometry, involved the clients directing the creation process in real time. Good thing I really enjoy modeling. :) Great example of age-based morphology between models. Lived in Portlyn Oregon for about 4 months, to help design, model, rig, texture animate & light a new CG Mascot for the Klondike folks... Take a look here, for more info. Select here to see my accurate 3D version in action, in a cool X-Ray Style Viewer! Quicktime Animation composited in Digital Fusion.